Artist Scott Teplin will teach a four-session course on how to bind an very durable, archival book that lies flat for scanning, copying or just comfortably working in. 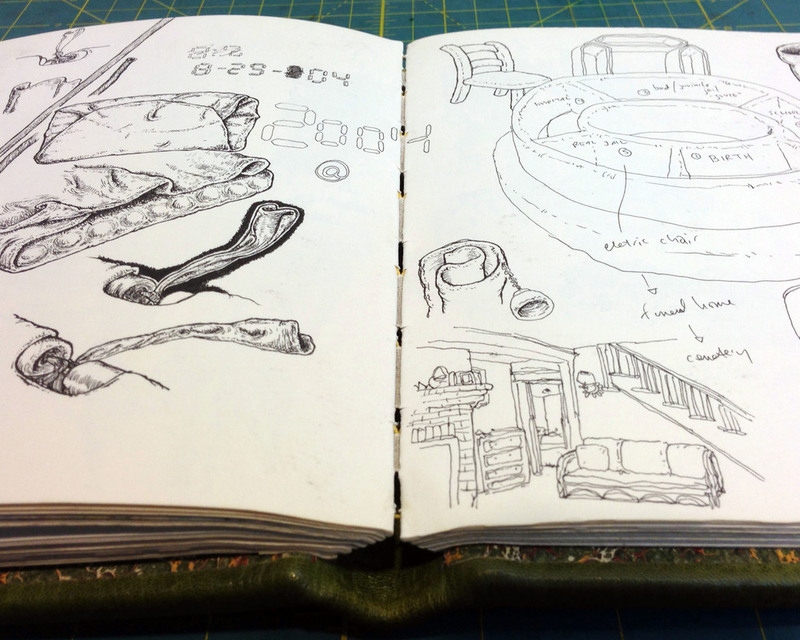 Teplin's method combines case binding and tape-stitch binding which he has perfected over the last 15 years. Teplin developed this particular method of binding from trial and error - with the goal of making something extremely functional for the specific purpose of working in the book for months (or years) after it was bound with a variety of media. While Teplin was trained formally as a fine artist and printmaker, he learned bookbinding on his own from other bookbinding artist friends. This group of artists, which co-founded the internationally renown Booklyn Artist Alliance were actually less interested in making books. They were always annoyed with the overly delicate reputation of "book arts" and instead set out to make "ART" first, which also happened to cross into the book-art world. This class represents Teplin's version of his ideal book - which he binds for use as his own sketchbooks as well as one-of-a-kind artist books. 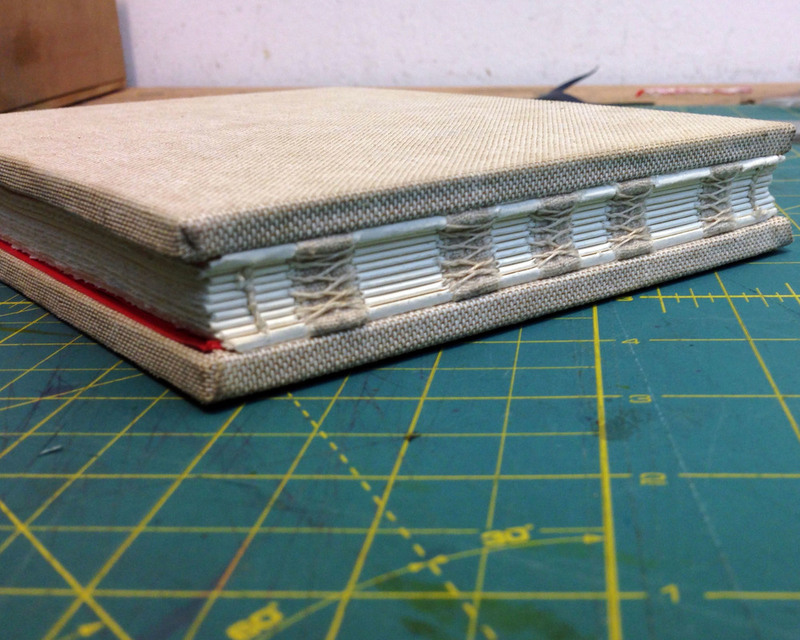 Knowledge of basic book binding is not necessary. Teplin will step students through binding their own books from start to finish so that everyone on the class walks away with their own blank book. He will display 20 examples of perviously bound books which the class is welcome to look through. A new one-of-a-kind artist book by Teplin can be seen in this video. Scott Teplin has been a working artist in New York City since receiving his BS in Fine art (specifically printmaking) from the University of Wisconsin- Madison. At that time (1995) he was actually hired as a shop monitor by Bob Blackburn for the EFA RBPMW when we were located in Chelsea. In addition to showing in the U.S. and abroad, Teplin has been represented by the Adam Baumgold Gallery in New York for the last 12 years (though he is currently working with Ryan/Lee Gallery in Chelsea). His work appears in a number of permanent collections including The New Museum, The Museum of Modern Art (NY), The Museum of Modern Art (SF), Stanford University, Yale University, Harvard University, The Walker Art Center, the New York Public Library, Penn Jillett and recently completed a large commission for the new Johns Hopkins Children's Hospital in Baltimore. Teplin received his MFA in Printmaking from the University of Washington - Seattle in 1998. He is a regular art contributor to innumerable McSweeney's publications and in 2014. He just started a second children's book to be published under the McSweeney's/McMullens imprint.